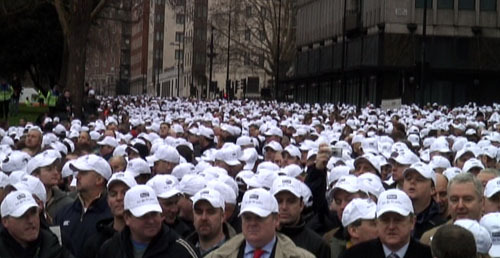 Wednesday 23 January saw 22,000 police march through London to protest their recent pay rise retraction. 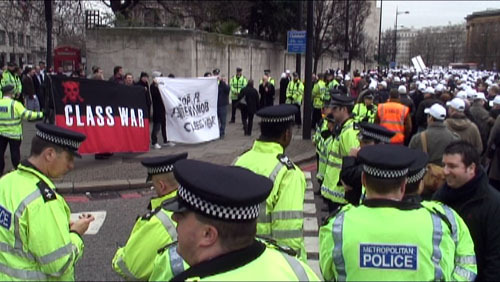 A counter protest was formed by Class War and FIT Watch. 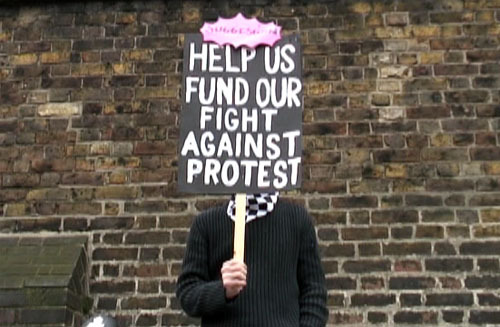 Other groups like the Space Hijackers decided to give the police a hand, by offering expert advice on how to protest. For footage access please contact Report Digital.